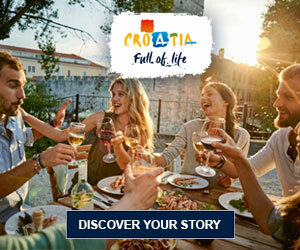 Croatia is a country with numerous mountain trails and trekking routes, as well as rafting routes. It's a paradise for skiers and cyclists as well as an oasis of peace and tranquility. No lover of nature or adventure could remain indifferent to the power of its pristine nature, eight national parks and eleven nature parks. Hidden paths and interesting routes are situated away from the public eye. All this is well known to our adventure travel tourism specialists, and they will confidently offer the intrepid tourist an unforgettable experience with quality in all respects. The adventure travel tourism specialists acknowledge the Code of Ethics and a range of criteria. Moreover, they present the recommendations of their suppliers in order to demonstrate the continuity of their excellent business practices. Their focus is to prepare a commercial offering in consideration of global trends, the laws of the market and environmental protection in a way that preserves natural resources while promoting respect for the richness of our flora and fauna, beauty and inspiration. At the same time, they respect the role of public institutions in control of the protected areas and maintain their professional relationships with them.